Two wolf pups are growing up south of Mount Hood on the Warm Springs Indian Reservation — the first wolves reproduced in Oregon’s northern Cascades since wolves began their return to the state in the 2000s. 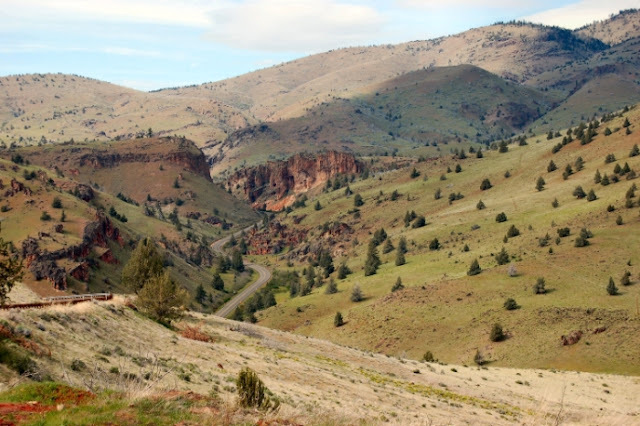 “We think it just shows that they are continuing to expand their range and population,” said Michelle Dennehy, spokeswoman for the Oregon Department of Fish and Wildlife. A pair of adult wolves in southern Wasco County, near the state’s highest peak, have produced at least two pups this year, the Confederated Tribes of Warm Springs confirmed last month. A trail camera on the reservation took the first photos of the pups on Aug. 10. Oregon has 124 wolves and 12 wolf packs, according to the latest state Department of Fish and Wildlife report released at the end of last year. Wolves in the western two-thirds of Oregon are protected under the federal Endangered Species Act. The U.S. 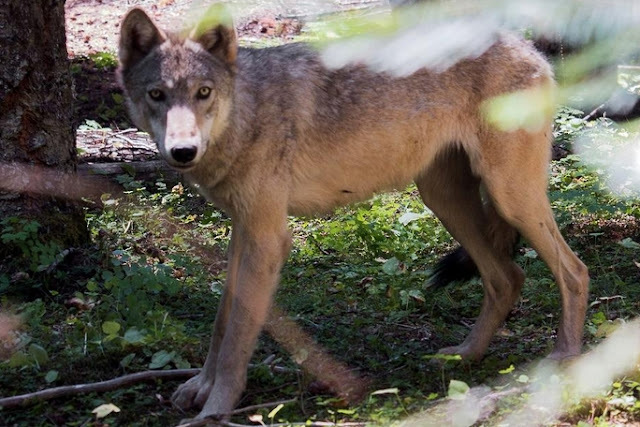 Fish and Wildlife Service, state Department of Fish and Wildlife and the Confederated Tribes of Warm Springs are working together to monitor the pups and their parents. The tribes have been observing the male in the parental pair since 2014, but no wolves in the pack have tracking collars. Bounty hunters eliminated wolves from Oregon by the 1940s. Federal wildlife managers first reintroduced wolves to Idaho and Yellowstone National Park in 1995. The species has spread since, first making a return to Oregon nearly 20 years ago. 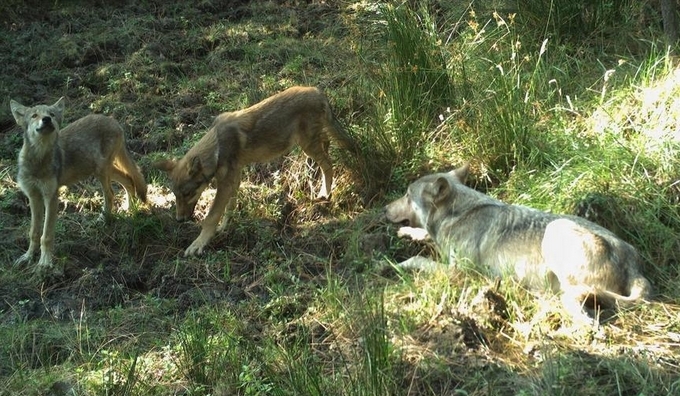 The Rogue Pack in Oregon’s southern Cascades first had pups in 2014. The pack has again produced pups, Dennehy said, adding that at least three pups were born this year. A radio-collared wolf known as OR-7 drew international media attention in 2012 when he wandered thousands of miles from Northeast Oregon to Northern California and then Southern Oregon — searching for a mate — before starting the pack. Responses to "Two wild wolf pups are growing up on the Warm Springs Indian Reservation"